Conveniently located near the Broward County Jail, All State Bail Bonds is here to provide you with free bail bond information, online search to local jails, courts, sheriff’s, inmate records, & confidential bail bond assistance. Family owned and operated, we are available 24 hours a day / 7 Days a week with Nationwide Service. Have you ever received a call from a loved one or associate who has been arrested and is in custody? Have you been charged with the task of coming up with bail on his or her behalf? All State Bail Bonds can help! Bond agents generally charge a fee of 10% of the total amount of the bail required in order to post a bond for the amount, depending on the charges. Essentially, we provide the financial backing to post bail for you. Also, we work to ensure that the defendant is present and on time at all mandatory court appearances. Our bail bond agents are well-trained, have years of experience in the industry, and continue to serve the good people of Broward, Dade, and Palm Beach Counties with respect, efficiency, and honesty. We are licensed to post bail bonds locally, statewide, and across the nation for state offenses, federal offenses, and immigration cases. We offer bail bond services to all of Greater Ft. Lauderdale, Miami, West Palm Beach and the entire tri-county area. We can also service your bond anywhere in the state of Florida and nation-wide and can assist in fugitive recovery. About All State Bail Bonds – People are arrested and charged with crimes every day. Those who are unable to post bail often miss workdays and are in danger of losing their jobs. They also miss out on valuable time with their families and friends. At All State Bail Bonds, we understand that your life is important! Being arrested and put in jail can be a harrowing ordeal and we do everything in our power to help you post bail so that you can get back to your life ASAP! Our bail bond agency is dedicated to providing service that is far superior to the rest and in addition to being open 24 hours a day, 7 days a week, and 365 days a year, we are flexible when it comes to payment type. We know that times can be tough and sometimes our clients cannot come up with the entire lump sum to cover their bond… Not a problem! At All State Bail Bonds we offer payment programs to suit your needs. As long as proper communication is maintained, we will continuously go out of our way to assist you. Founder Rick Salerno, comes from a family of Bail bondsmen. His father started out 25 years ago in Miami, Florida and peeked Rick’s interest into the Bail Bond Industry. With over 10 years of experience, Rick is very knowledgeable with all steps of the Bail process. 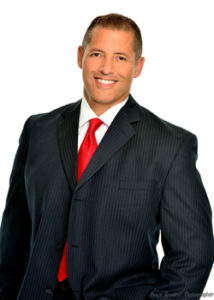 Rick earned his Bachelor’s Degree from Florida State University in Criminal Justice and Business Administration in 1992. In 2011, Rick founded All State Bail Bonds LLC.. Since then, he has helped numerous clients with State and Federal Bonds. Rick treats every person with respect and integrity. Coming from a family owned and operated business, he takes pride in giving all of his clients the utmost respect and understands when people are in a time of need. He is considered by many to be attentive, loyal, and reliable. His compassion and professionalism as a bail bond agent is what has helped him strive to succeed in an industry that has remained to be a second-rate of quality bail bond agents. His company founded the platform that many other agents and agencies are now using to surpass expectations due to the effectiveness and perseverance to succeed. "​Good Good Good Mucho Happy!" "​I tried many bail bond providers but this was the only company to take my call due to it being late at night 10/10"
"​Fast smooth service 5 stars!"